"Vision Marseille 2 is the sister team of the French SPL team, Vision Marseille. 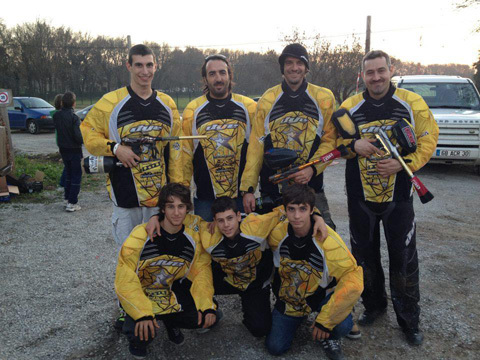 The team consists of old players (Lazza, Benoit, Samuel and Siegfried) who have played paintball for over 20 years mixed with young players like Julien, Flo and Fabian The youngest player we have is just 15 years old! We also have the joy of having a girl,Cyrielle Gambier. We hope to have a good season and wish all other teams "good luck"!!"